Today's Chrysopteron blog tour host is horror/paranormal author Craig McGray. Craig is the author of The Somnibus series. I had the pleasure of reading an advanced copy of the first book, and it is definitely a creepy, haunting thriller with a good dose of mystery. I'm eagerly awaiting the next in the series! 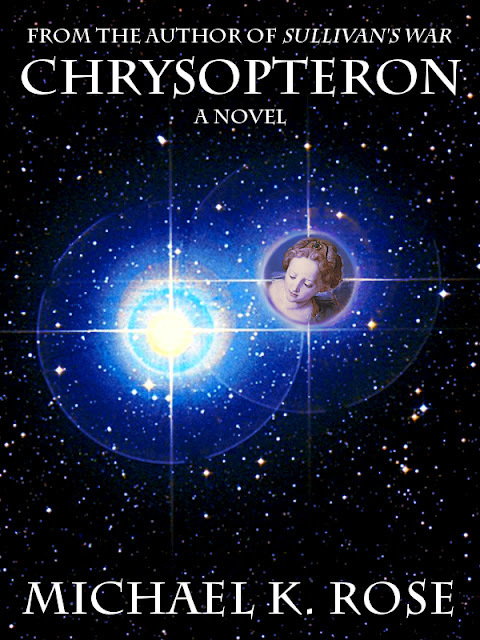 The topic I wrote on for Craig's blog is "The Role of Mythology in Chrysopteron." The novel is filled with references to Greek myth and I wanted to explain a few of those references. You can read the article here. Also remember that my Christmas sale runs through the 31st. Sullivan's War and my collection Short Stories are just 99 cents each. Info about that can be found here. And if you like free stuff, all you have to do is like my Facebook page and you'll be entered to win all of my books. This contest also ends on the 31st, so see the details here.